I’m of the belief that recipes should be shared. I never omit an ingredient in a requested recipe or leave out a critical step so that the final product isn’t quite right. I need all the good karma I can get and consequently tend to share all of my cooking secrets. With that being said, my moral philosophy on recipe sharing has been severely tested with this tart. To put it mildly, I’ve been a bit selfish. It’s understandable though. While you’ll never hear me claim that a particular recipe is my favorite (there are far too many wonderful dishes for that), if I had to list my top five this one would be at the top of the list. 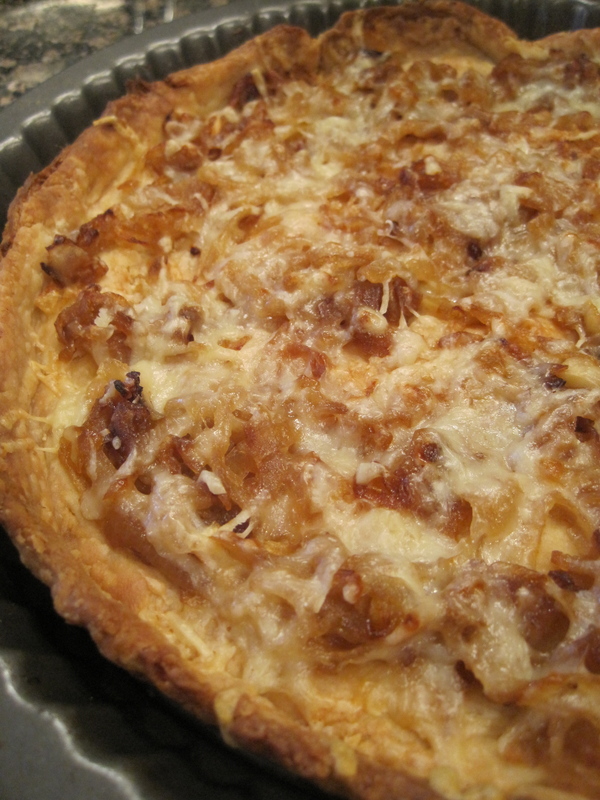 This tart combines a buttery, flaky crust with golden brown onions and nutty Gruyère cheese. It’s a mouthful of heaven that is perfect for almost any occasion. While it is delicious served hot, it can also be served at room temperature on its own or with a mixed green salad for an elegant first course or a light lunch. I recently showed how to make this tart on Charlotte Today. To see the video, click here. Don’t be intimidated by the various steps to make the crust (or me running around like a chicken with its head cut off on live television). While you can substitute store-bought crust, homemade is so much better and really elevates the tart to another level. Plus, once you master the technique of pastry dough you can use your new-found skills to make a fresh berry tart with mascarpone filling or a comforting chicken pot pie. Mmmmm…hungry anyone? I call for a 10-inch tart pan in this recipe, but this tart works equally well as a free-form tart on a baking sheet. On a well-floured surface, roll out the dough to a large, 1/4-inch thick circle. Use the rolling-pin to transfer the dough from the countertop to a 10-inch tart pan. Trim the edges as needed. 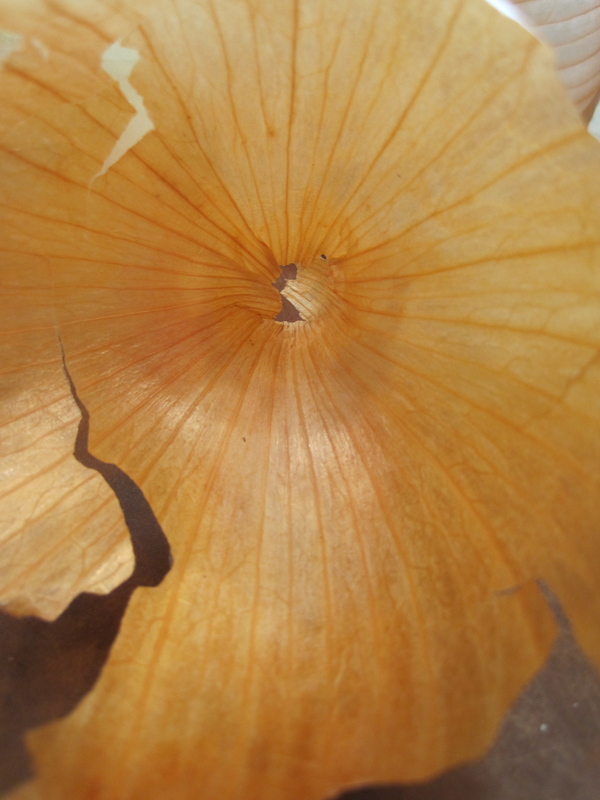 Prick the bottom of the tart with the tines of a fork and bake for 20 minutes or until lightly browned. Remove the tart from the oven and set it on a wire rack to cool. Melt the butter in a large skillet over medium heat. 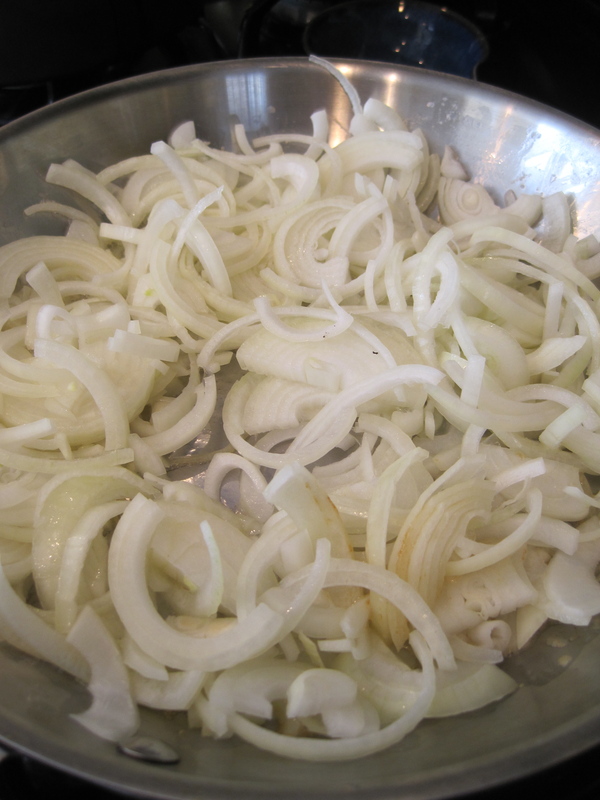 Add the onions and cook them over medium heat, stirring occasionally, for twenty minutes. 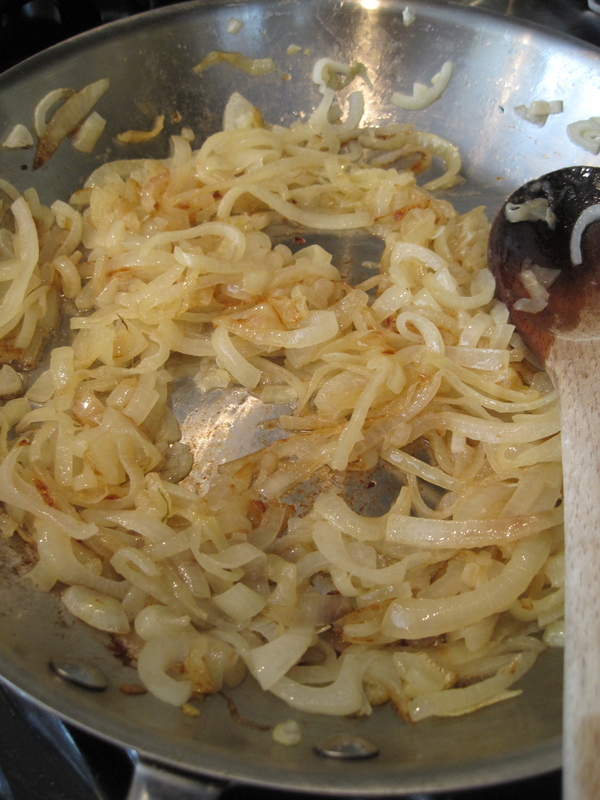 Add the salt and pepper and continue cooking for another 10 to 20 minutes until the onions have caramelized and are a deep, golden brown. 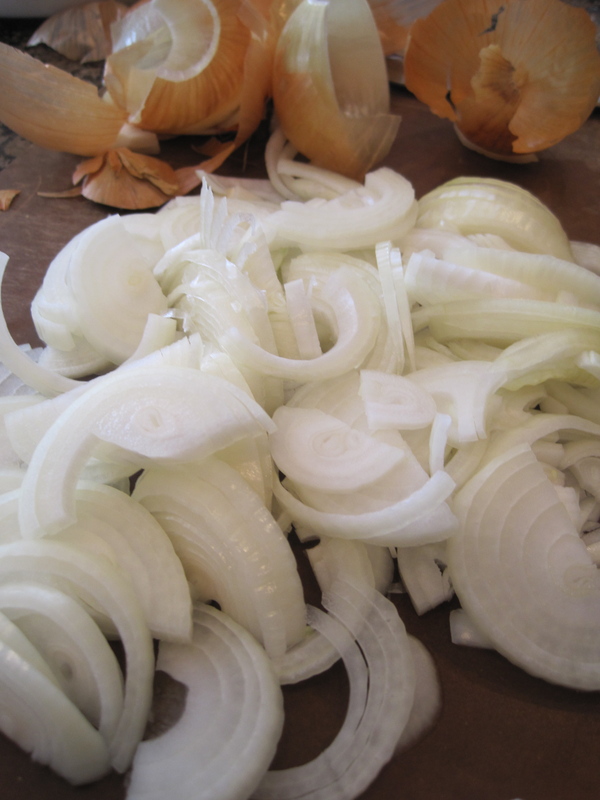 Remove the skillet from the heat and let the onions cool. 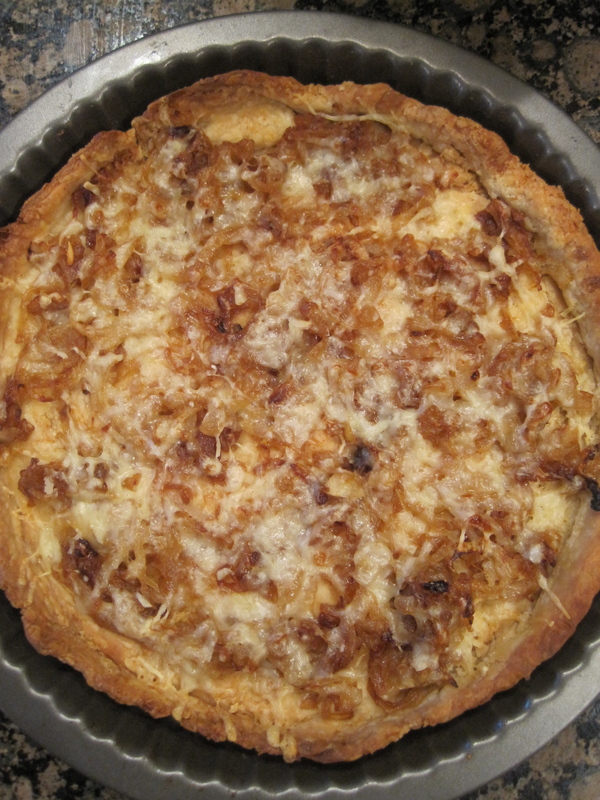 Top the pre-baked tart with the caramelized onions and sprinkle it with the Gruyere cheese. Bake at 400 degrees for 10 minutes (the cheese should be brown and bubbly). Allow the tart to cool for five minutes on a wire rack before cutting. Garnish with fresh thyme leaves. In a large bowl, whisk together the flour and salt. Use two forks or a pastry blender to cut the butter into the flour mixture until the fat is in small lumps. Sprinkle the ice-cold water over the flour mixture and use a fork to pull the mixture together. Add up to 1 more tablespoon of water, in teaspoonfuls, if the dough is not coming together. Turn the dough out on the counter and, working quickly, mold it into a large ball. Press the ball into a 5-inch disc. Wrap the dough with plastic wrap and refrigerate for at least thirty minutes and up to one day. I ate some of this cold, and it was incredible. Thanks for sharing! Oh my goodness, I’m so glad you decided to share 🙂 This looks delicious! Great job on Carolina Today! I have made something like this before and it rocks. Yours look scrumptious! I look forward to your post. Thanks, Julie. It’s one of my favorite dishes. I hope you’ll enjoy it just as much. This was my favorite recipe from our “cooking dinner!” Melt in your mouth divine!! It is a favorite of mine as well!